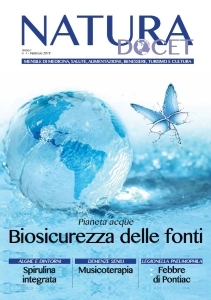 31 dicembre 2008 16 ottobre 2015 admin Fabio Vescini Articoli Haart Diagnostic of osteoporosis, HIV, HIV-1 related osteoporosis, Primary osteoporosis. Osteoporosis is a common, often disregarded, disease entailing an increased risk of bone fractures. Bone turnover is the main bone quality parameter, currently measured by biochemical markers, possibly flanked by traditional x-ray investigation. A series of observations on increasingly large cohorts of HIV patients have placed HIV infection among the causes of secondary osteoporosis. It is evident that high bone turnover, as in HIV-induced osteoporosis, involves cancellous bone earlier and to a greater extent, only compromising cortical bone much later. For this reason, BMD measurement in the spine is more likely to disclose osteoporotic disease than tests undertaken in femur. Much progress has been made since the first reports of HIV and HAART-induced bone damage, but we have yet to reach an adequate diagnostic definition.